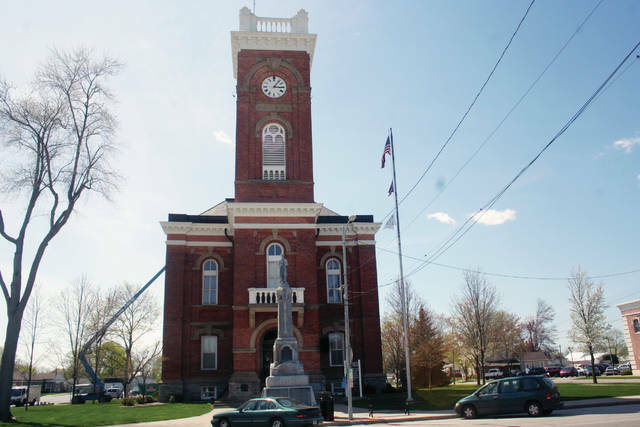 Renovations are planned for the Fulton County Courthouse in Wauseon. The Fulton County Commissioners passed a resolution to advertise the 2018 Courthouse Renovations Project for bid, in their Aug. 16 session. Sealed bids will be received for the project until 9 a.m. on Sept. 18. At approximately 9:01 a.m. the bids will be opened and publicly read out loud. “Over the past century, the Fulton County Commissioners have done a good job maintaining this historic structure for the people of Fulton County. Our goal is to continue that mission in this renovation so that the new courthouse space will be safe, secure and effective for many more decades to come,” said Vond Hall, Fulton County Administrator. The Fulton County courthouse was constructed and completed in 1872. This courthouse, which is owned by the county residents, used by the county residents and maintained for the county residents, is still in full use today. The Common Pleas Court, Clerk of Courts Legal Division and the Probate and Juvenile Courts all operate out of this Fulton County landmark, which was added to the National Register of Historic Places in 1975. Renovations are expected to include historic restoration of the Common Pleas courtroom, replacement of the heating and cooling systems, addition of security and technology features, installation of a new ADA compliant elevator and updates to the Clerk of Courts, Probate and Juvenile Courtroom and Offices. During the renovation, the offices of the Common Pleas Court, Magistrate’s Court and the Clerk of Courts will be temporarily moving to the Fulton County Administration Building at 152 S. Fulton Street, Wauseon. The Probate and Juvenile Courts will be moving to 7320 State Route 108, Wauseon.